The team at General Atomics in Poway, California (US), achieved an important milestone for the ITER central solenoid: completion of ground insulation for the first of seven production modules. The massive central solenoid, known as the heartbeat of ITER, will initiate and drive plasma current in the ITER vacuum vessel. Ground insulation is the seventh of ten steps in the production process of a central solenoid module. Part of US commitments to ITER, fabrication of the central solenoid is underway at a dedicated General Atomics facility in Poway, California. Ground insulation ensures that each module is isolated from a potential fault of up to 30,000 volts from other systems and components in the ITER cryostat. 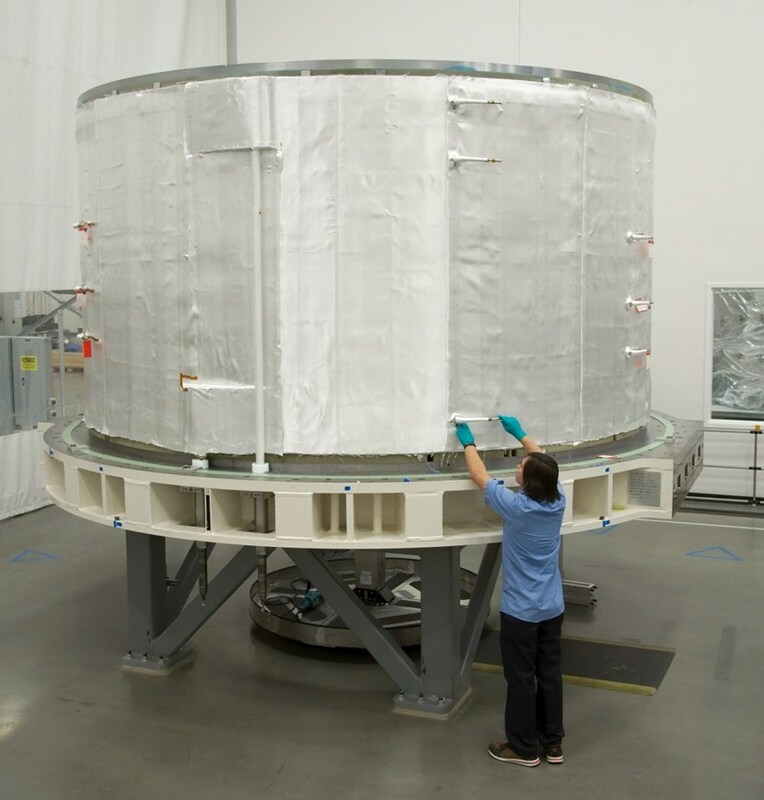 "Completion of insulation is an important milestone in fabricating the first central solenoid module," said John Smith, program manager for ITER central solenoid production at General Atomics. "The complexity of the operations presented unique challenges, but the team was able to draw from previous experience and know-how to develop successful solutions." Ground insulation is the seventh of ten steps in the module production process. Ground insulation consists of 18 layers of fiberglass, six layers of Kapton sheets totalling over 2,300 square metres, and a ground plane, which provides a ground potential surface on the outside of the coil. The fiberglass sheet insulation around the coil was precisely placed to within several millimetres' tolerance. The ground insulation was also tightly fit around complex coil features such as the helium inlets and coil leads. The first module has now moved on to the vacuum pressure impregnation station where 3,000 litres of resin will be injected to encapsulate the module for further insulation and module stability. After helium piping is connected, the module will move on to final testing and is expected to be completed in 2019. The ITER central solenoid will consist of six stacked modules, and will stand nearly 18 metres tall and weigh more than 900 tonnes. When completed, it will be the largest pulsed superconducting magnet in the world and will drive 15 million amperes of electrical current to ITER's plasma. See the full report on the website of General Atomics.